MEININGER Hotels has signed a long-term lease agreement with Altus Realty, project owner and developer, for a hotel in Washington, D.C. Located at 35 New York Avenue NE in the NoMa neighborhood, the 154-room, 616-bed hotel is scheduled to open at the end of 2020. 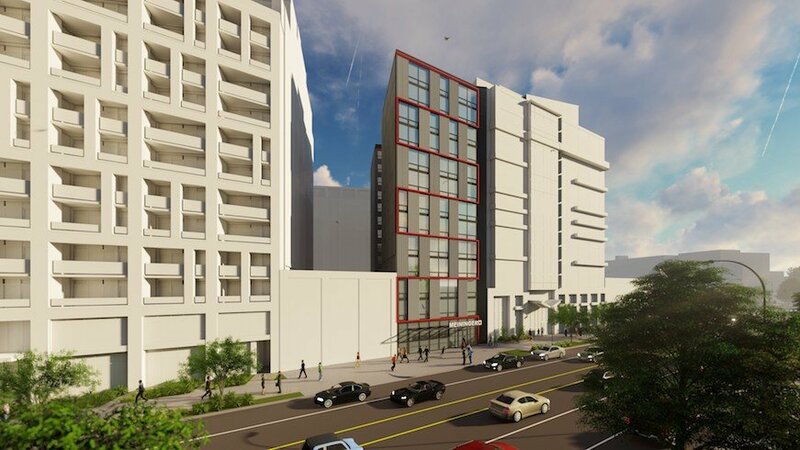 With a gross floor area of 74,500 square feet, the hotel will be a newly built 13 story property. Staying true to MEININGER’s concept, the room categories will range from classic double rooms to private and shared multi-bed rooms. There will be ample public areas on two floors—including a large reception, lounge, and bar area on the ground floor—and a breakfast area, guest kitchen, and game zone on the second floor. The MEININGER Hotel Washington D.C. aims to serve as a starting point for those on a city break thanks to its central location. The highly visible site is near Union Station and the NoMa-Gallaudet U Metro station is less than two blocks from the hotel. NoMa, named for its location north of Massachusetts Avenue, is a growing neighborhood near Capitol Hill and the Mt. Vernon Triangle, Penn Quarter, and H Street neighborhoods. The area has free outdoor WiFi and movies in the summer, walkability and multiple transit options, and is home to numerous restaurants, bars, grocery stores, shopping, and cultural attractions. Union Market, with more than 40 vendors, is a 10-minute walk from the hotel as well. “We are very pleased to be able to realize our first project in the USA in the capital Washington, D.C. With an abundance of school and youth groups visiting, cultural offerings, and as the political center of the country, Washington D.C. is the ideal city to introduce MEININGER to the North American market. We are also proud to have Altus Realty, an experienced partner, by our side for this project,” said Hannes Spanring, CEO of MEININGER Hotels. MEININGER currently operates 24 hybrid hotels in Europe. All in all, the total number of projects currently under development is currently 13. MEININGER is expanding and says it is exploring further opportunities in Europe, North America, and South Asia.